Lisa Jewell is a master of mystery. And suspense. Also book-throwing moments. 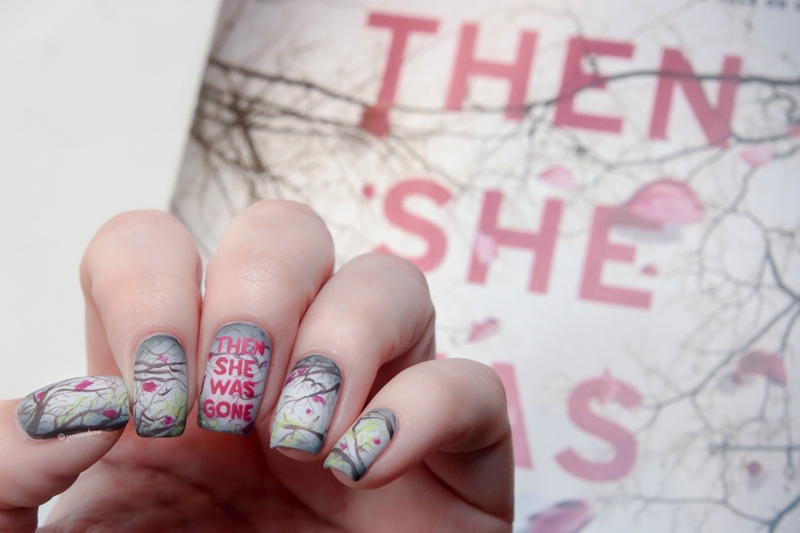 When it comes to THEN SHE WAS GONE, all three were in full effect because oh em gee was this book phenomenal! She was fifteen, her mother's golden girl. She had her whole life ahead of her. It’s been ten years since Ellie disappeared, but Laurel has never given up hope of finding her daughter. And then one day a charming and charismatic stranger called Floyd walks into a café and sweeps Laurel off her feet. Before too long she’s staying the night at this house and being introduced to his nine year old daughter. Poppy is precocious and pretty - and meeting her completely takes Laurel's breath away. In the beginning, my heart hurt for Laurel. 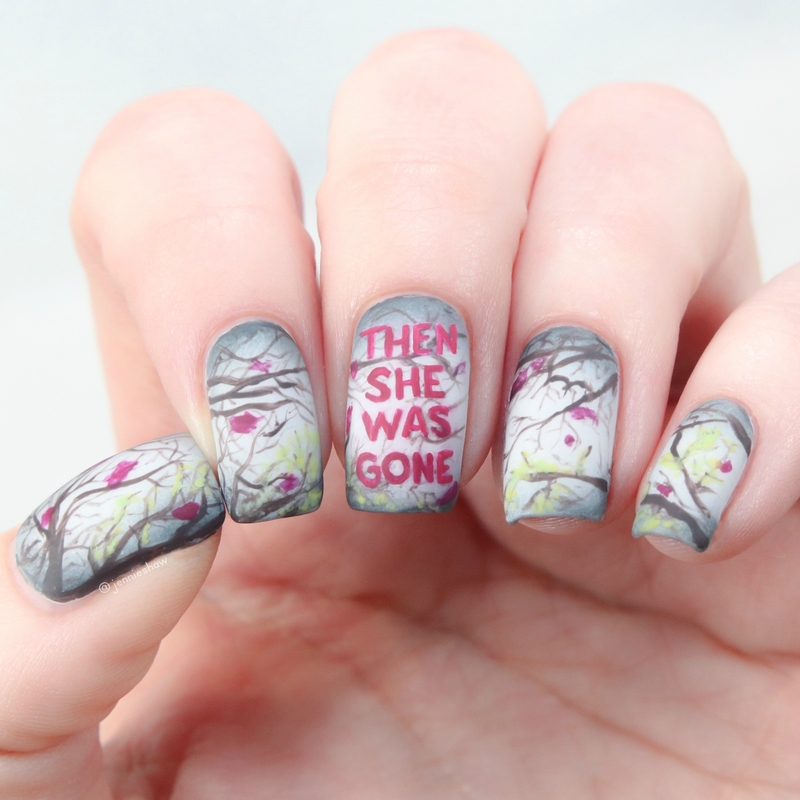 Ten years after her daughter Ellie disappeared, she wasn’t doing so hot. Strained relationships with her other two children, a divorce, and an existence that was more like surviving instead of living. Day in and day out, Laurel’s small life brought her as much joy as it did laughter; zero. But then she met Floyd and things started to change. Jacket design by Laywan Kwan. Jacket photograph of branches by Plainpicture/Michael Dooney. Photograph of petals by Getty Images. That brings me to the characterization, which blew my booknerd socks clean off. Laurel’s unrelenting grief, the conflict with her remaining children, Floyd, even Poppy got the full treatment. Of the entire cast, Floyd impressed me the most. We all know the kind of men that elicit a yellow warning light, where it isn’t so much what he says, but how he says it. Jewell’s phrasing in this regard was perfection as far as I’m concerned, because conveying that subtle but powerful reaction is a challenge. I love a character with a perpetual question mark dangling over their head, possibly a red herring, possibly an antagonist, who the heck knows? From Laurel’s point of view, I could see her willingness to dismiss those niggling feelings, as one can never be sure where a man falls on the-creepy-to-psycho scale, and women have been conditioned to stay in potential danger rather than be considered rude, so kudos to Jewell for nailing that dynamic. The format of having present and past narration gave readers an advantage of being privy to details that Laurel would kill to know. This is where my admiration of Jewell’s craft made me want to stand up and clap, because it’s awfully difficult to keep a mystery going when it appears that we have all the pieces. But really, all Jewell granted was a taste, and although it felt like she presented the whole meal early on—as in, who took Ellie—the best was yet to come. Only by best, I actually mean worst, because yowza. 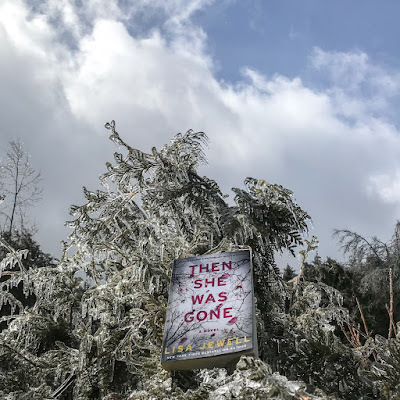 If you’re a fan of edge-of-your-seat novels where the world falls away around you because you’re consumed with what-ifs and painful sympathy for a desperate mother, THEN SHE WAS GONE is the book for you! Huge thanks to Simon & Schuster Canada for an ARC!